On A Personal Note: Are You A Slave To Habits? When I first started this blog I wrote a post about breaking bad habits The post was about some tips on ways to break bad habits – specifically avoiding workplace junk food. I was reminded of that post I wrote when I came across a research article put out by Duke University in 2006 that found that about 40% of what we do on a daily basis is out of habit (1). That statistic really got me thinking and got me to take a look at my everyday life. If 40% of everything we do is based out of daily habits, then how much different could things be if things were, well, different? 1. Cue: Something (whatever it is) triggers your brain to activate in a certain way. This could be lunch, your morning alarm, or your arrival to the gym, etc. 2. 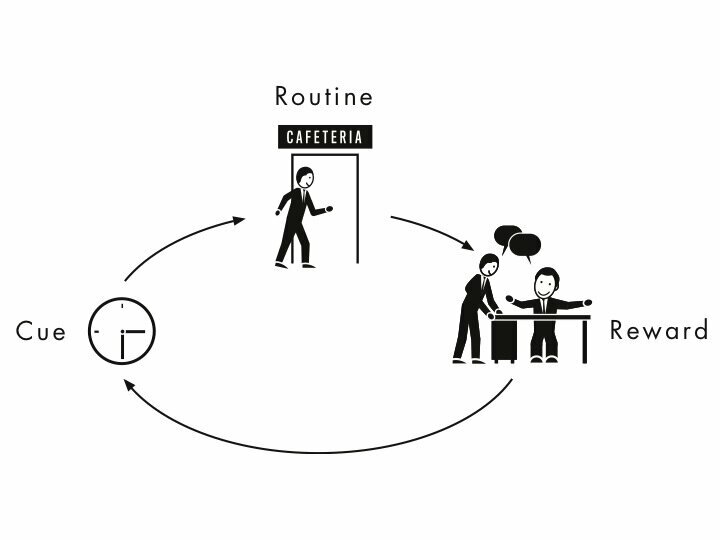 Routine: The routine is the activity that you do immediately after you encounter the cue. 3. Reward: The reward is what you get for the activity that you do. With a rewarding habit, it cements the chemicals in your brain and communicates that the activity for the given cue is worth doing again in the future. Before long we find ourselves stuck inside our own little bubble called a comfort zone. Some habits can be good – such as the habit of eating healthy, brushing your teeth, or going to exercise. Where habits can become bad is when they keep you stuck in your comfort zone. For example, what if you went to exercise, but only did the same exercise every day out of habit. Or what if you eat healthy by avoiding junk food, but what if all you ate was just carrots and apples? Or worse, what if that 40% of your daily habits causes your cue to enact a bad habit? Get out of your comfort zone! Habits can be good but habits can also stunt your growth by keeping you in your comfort zone. Take a leap – get out of that zone and make it a habit to do something different out of your day – every day. Make small tweaks to your 40% to be a more effective person. Remember, you will never grow if you stay a slave to your habit loop. 1. Be Aware: Being aware of what you do is a key thing. You don’t need to keep a diary of your everyday activities, but if you notice yourself doing the same things, make a note. Eventually you’ll become self-aware and catch yourself in the act of a habit/routine you’re trying to change. 2. Educate Yourself: You can’t change an existing habit if you don’t have anything to replace it with. Know why you’re reaching for a banana instead of a scone to go along with your coffee at exactly 6:45am each day. You’ll never be able to insert a different exercise into your routine if you haven’t looked one up already. 3. Repetition: Use the habit loop to your advantage. To break your 40%, make your reward clear to cement the fact that change can be good. 4. Take Notes: Is the change that you’re inserting into your life helping you become a more effective person? The same can be asked about your routine helping you grow or not each day. If it isn’t, go back to number 2 and get creative with some ways you could possibly be different each and every day. 1. Neal, D., Quinn, J., Wood, W. “Habits – A Repeat Performance.” Current Directions In Psychological Science (2013): 198-202. Web. 19 October 2013. PreviousHow Many Calories Do You Need?